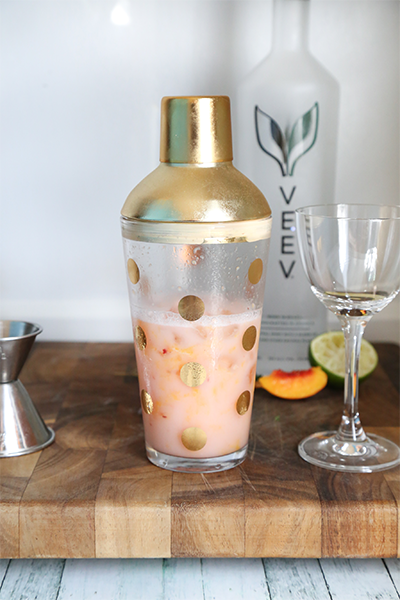 Peach Dreams Cocktail: Made with Fresh Peaches and Veev. Alright, hold up Starbucks. Just because you’ve re-introduced the Pumpkin Spice Latte last week doesn’t mean it’s fall...yet. It’s still September, which means September temperatures are still hanging on and going strong. Today, it was 87 degrees. Not bad, I know, but my place heats up real fast. 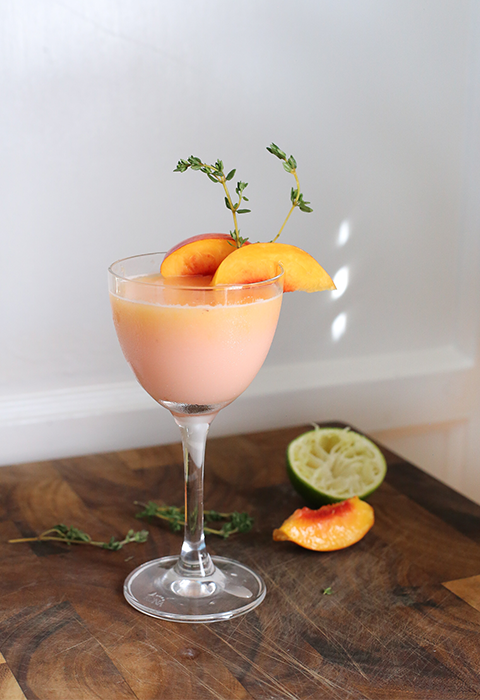 In attempt to hang on to the last few days of summer, I created a new fruity cocktail recipe for you: Peach Dreams. 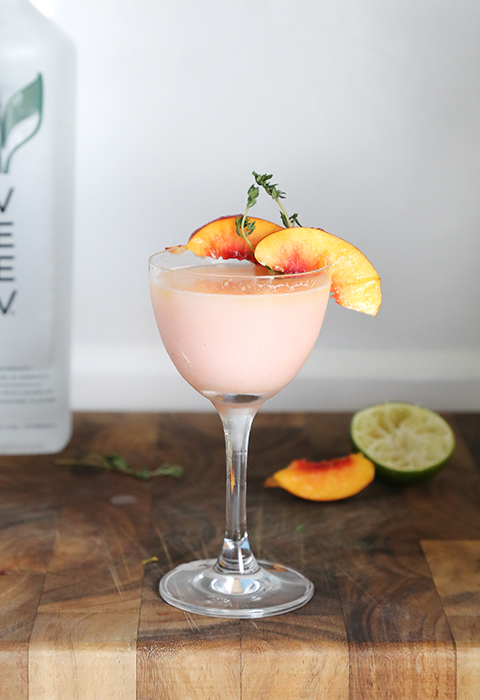 This peach cocktail is out-of-control amazing! See, I have a bad habit of letting fruit that gets too ripe go bad. I just forget about it and I get so mad at myself! I’ve been making better attempts lately to fix that; I’ll usually make an awesome simple syrup with the over-ripe fruit or I’ll use is to muddle for a cocktail. Today I had a peach that was very soft, yet wouldn’t look so amazing if I sliced it for a dish. Instead of giving up on it, I decided to make mixology magic. 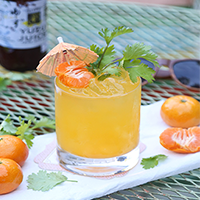 The key to this amazing Peach Dreams cocktail is using a ripe peach; it adds the perfect out of sweetness and juice to your drink. Simply muddle three ripe peach slices (I used a peeled peach) in a cocktail shaker and then add Veev, fresh lime juice, almond orgeat syrup and Greek yogurt. Yes, I said Greek yogurt. 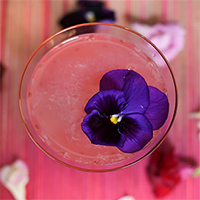 It gives this dreamy cocktail and a tangy touch and almost creamy texture. Then add ice and the top to your shaker and shake until very cold. 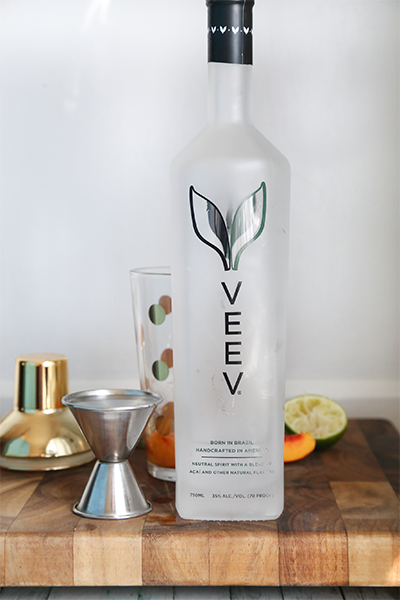 Use a double strainer and pour into a coupe glass or a rocks glass with ice. 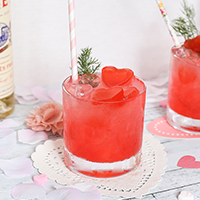 Garnish with fresh peach slices and thyme know I’ve told you to try my cocktails before, but this summer fruit cocktail recipe is on another level. 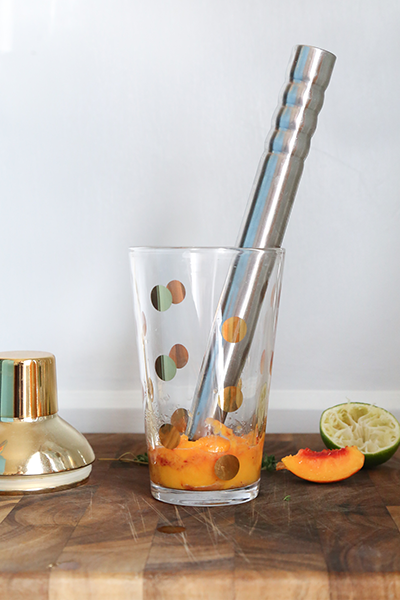 Take the peach plunge and make this Peach Dreams cocktail. You won’t be disappointed! Muddle peaches slices in cocktail shaker. 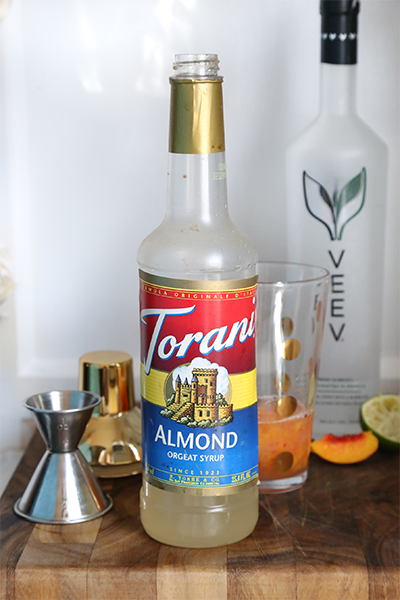 Add the rest of the ingredients into a cocktail shaker. Secure shaker top and shake until tin turns frosty cold. Use a double strainer and pour the cocktail into a coupe glass or over fresh ice and add garnishes. Enjoy!